On my 2011 South-Utah Northern Arizona Trip I had the luck of hiking the deserts right after rainy springtime. 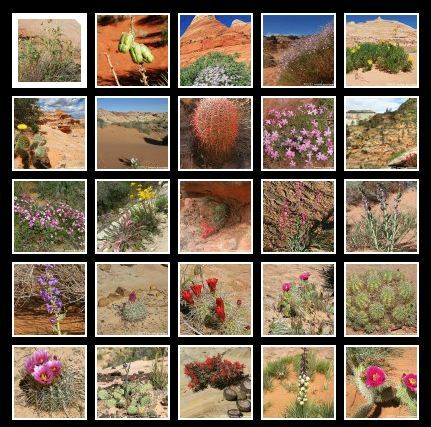 I was amazed by the many colors and different flowers amid the dry and sparse desert landscape. It made me stop several times to take a photo with my small Ixus camera which I have always at hand.I dedicated here a collection of all these shots when hikingin the deserts around Escalante (UT) Page (AZ) and in the Zion area. Sometimes quality is not the best but I liked the flowers and colors so I still added the photo to this album. Just click on the foto below to open the album.